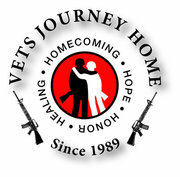 Vets Journey Home (VJH) is the non-profit group that offers free weekend healing retreats to veterans who have experienced PTSD, TBI, or had other issues “coming home.” Veterans from WWII, Korea, Vietnam to Afghanistan~ you owe it to yourself to check this out! Their next retreat is April 26-28 in Mount Airy, Md. There are still a few openings, but they only take 10 veterans for a weekend. Contact their website to find out more, and register! Veterans— VJH is a life changing experience you owe yourself! How much does it cost? Nothing. “You’ve already paid the price.” Click here to learn more. This picture is of the staff from last April’s VJH retreat in Mount Airy, Md. Staff volunteers were from all over America. If you look at the expressions on our faces, it’s easy to see how deeply we bonded in just 3 days. Wish I had taken a picture of the 10 participants. Their bonding Fri night was almost immediate, and by Sunday— I saw what was meant by “band of brothers.” Amazing. I support VJH with partial profits from my book. 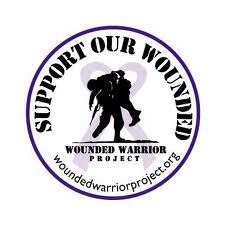 This entry was posted in Blog, Events and tagged VETS JOURNEY HOME RETREAT. Bookmark the permalink. 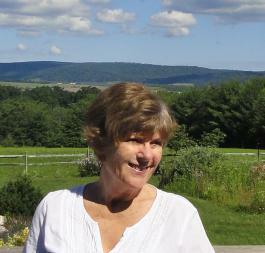 ← BOOK WAREHOUSE AUTHOR SIGNING in Gettysburg!